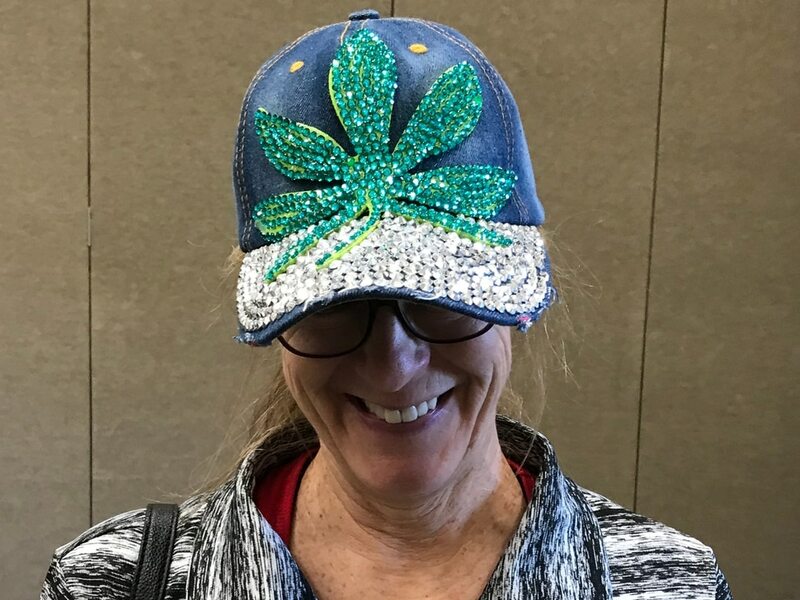 (Courtney Tanner | The Salt Lake Tribune) Wendy Bennett shows off her new hat at Utah Cann, the state's first conference on cannabis, on Saturday, Oct. 20, 2018. 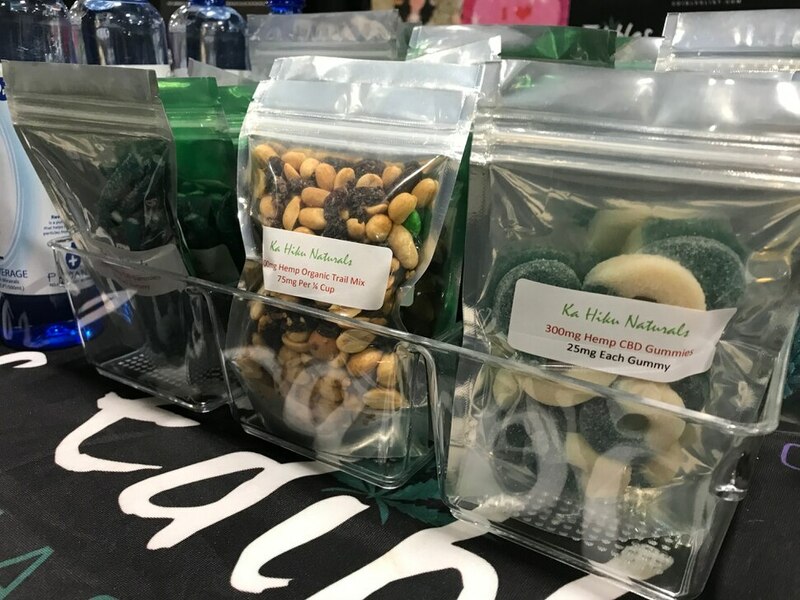 (Courtney Tanner | The Salt Lake Tribune) A vendor sells CBD candies at Utah Cann, the state's first conference on cannabis, on Saturday, Oct. 20, 2018. (Courtney Tanner | The Salt Lake Tribune) A vendor sells CBD oil at Utah Cann, the state's first conference on cannabis, on Saturday, Oct. 20, 2018. (Courtney Tanner | The Salt Lake Tribune) A vendor sells hats at Utah Cann, the state's first conference on cannabis, on Saturday, Oct. 20, 2018. (Courtney Tanner | The Salt Lake Tribune) A vendor sells chairs at Utah Cann, the state's first conference on cannabis, on Saturday, Oct. 20, 2018. (Courtney Tanner | The Salt Lake Tribune) A vendor sells books on marijuana at Utah Cann, the state's first conference on cannabis, on Saturday, Oct. 20, 2018. (Courtney Tanner | The Salt Lake Tribune) A vendor sells books on marijuana at Utah Cann, the state's first conference on cannabis, on Saturday, Oct. 20, 2018. (Courtney Tanner | The Salt Lake Tribune) TRUCE volunteer coordinator Gary Parker talks to attendees of Utah Cann, the state's first conference on cannabis, on Saturday, Oct. 20, 2018. (Courtney Tanner | The Salt Lake Tribune) A vendor sells books on marijuana at Utah Cann, the state's first conference on cannabis, on Saturday, Oct. 20, 2018. 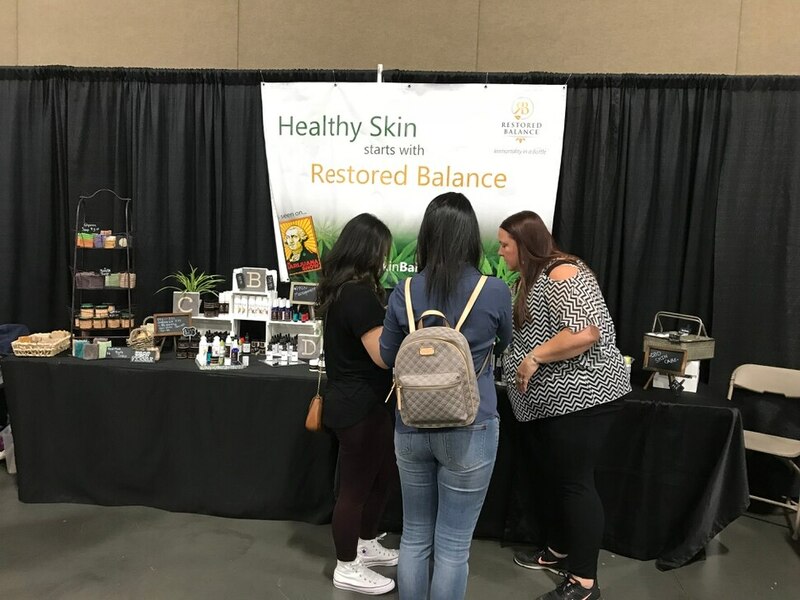 (Courtney Tanner | The Salt Lake Tribune) A vendor sells hemp products at Utah Cann, the state's first conference on cannabis, on Saturday, Oct. 20, 2018. (Courtney Tanner | The Salt Lake Tribune) A vendor sells gardening supplies at Utah Cann, the state's first conference on cannabis, on Saturday, Oct. 20, 2018. (Courtney Tanner | The Salt Lake Tribune) A vendor sells CBD oil at Utah Cann, the state's first conference on cannabis, on Saturday, Oct. 20, 2018. (Courtney Tanner | The Salt Lake Tribune) People walk around at Utah Cann, the state's first conference on cannabis, on Saturday, Oct. 20, 2018. (Courtney Tanner | The Salt Lake Tribune) A vendor sells CBD oil at Utah Cann, the state's first conference on cannabis, on Saturday, Oct. 20, 2018. And it came just weeks after state lawmakers and Utah Gov. Gary Herbert announced their behind-the-scenes work on a medical marijuana compromise that will be considered during a special session next month. The proposal will override whatever voters decide on Proposition 2, the cannabis ballot initiative, from which it has already appeared to erode support.